The Canadian Football Hall of Fame is a not-for-profit corporation, located in Hamilton, Ontario, that celebrates great achievements in Canadian football. It is maintained by the Canadian Football League. It includes displays about the Canadian Football League, Canadian university football and Canadian junior football history. It has a website. The Hall previously had a main feature in the central portion of the museum where inducted members, each with a metal bust depicting their head, were displayed prior to the physical building being closed. There were also featured displays that highlight each Canadian Football League team's history, and an interactive field goal kicking exhibit. The CFHOF is currently changing to a de-centralized model, which does not included a main museum building (see "Today" below). Once during every CFL season, the Hall sponsors the induction ceremony of former players. Included in the "Hall of Fame Weekend" is a regular season game, usually (but not always) affiliated with the Hamilton Tiger-Cats. Traditionally, the inducted players will come to the Hall and make an acceptance speech in front of the building where their newly sculpted bust is unveiled. A player must be retired from the game for at least three years before being eligible for consideration. A Hall of Fame voting committee is composed of sports writers, selected CFL executives and inducted members. The Canadian Hall of Fame officially opened on November 28, 1972. It is located in downtown Hamilton, beside the former Hamilton City Hall and Family Courts Building, which is inside the former Andrew Carnegie library on Main Street, between Bay Street and MacNab Street. The Canadian Hall of Fame was awarded to the City of Hamilton in June 1963 following the invitation of Mayor Lloyd Douglas Jackson. The Hamilton Parks Board offered a space near Civic Stadium. Ivan Miller, former sports editor of The Spectator, was named the first curator. Soon after, the Board of Education purchased the land and building. The Hall moved to this location in 1972 and closed on September 19, 2015. 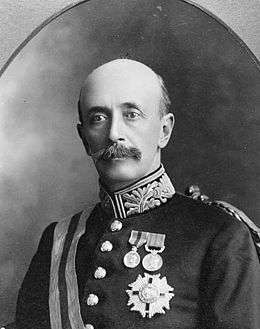 In 2015, responsibility for the museum moved from the City of Hamilton to the CFL. The old Canadian Hall of Fame building is easily identified by the slightly-larger-than-life metal sculpture Touchdown, featuring a successful receiver being tackled. As of the 2016 class, the Canadian Football Hall of Fame has honoured 283 players and builders. Charter membership to the Hall began on June 19, 1963. The Hall of Fame also has a Football Reporters of Canada wing dedicated to reporters. The Canadian Football Hall of Fame old museum building is currently closed to the public as it transitions from a stand-alone facility. A permanent display will be opened at Tim Hortons Field, accessible during Hamilton Tiger-Cats home games, and other times the stadium is open to the public. The CFHOF is also building travelling displays for different CFL team home fields, the Grey Cup, and other events. Jack Abendschan – player (K/OG), 2012 (Saskatchewan Roughriders 1965–75). Junior Ah You – player (DE), 1997 (Montreal Alouettes 1972–81). Roger Aldag – player (C/OG), 2002 (Saskatchewan Roughriders 1976–91). Damon Allen – player (QB), 2012 (Edmonton Eskimos 1985–88, 1993–94; Ottawa Rough Riders 1989–91; Hamilton Tiger-Cats 1992; Memphis Mad Dogs 1995; BC Lions 1996–2002; Toronto Argonauts 2003–2007). Bill Baker – player (DE), 1994 (Saskatchewan Roughriders 1968–73, 1977–78; BC Lions 1974–76). 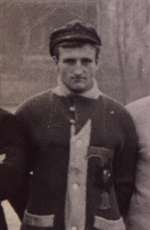 Donald Barker – builder, 1999 (for his role in developing league officiating since the 1960s). Danny Bass – player (LB), 2000 (Toronto Argonauts 1980; Calgary Stampeders 1981–83; Edmonton Eskimos 1984–91). Greg Battle – player (LB), 2007 (Winnipeg Blue Bombers 1987–93, 1997–98; Las Vegas Posse/Ottawa Rough Riders 1994; Memphis Mad Dogs 1995; Saskatchewan Roughriders 1996). Paul Bennett – player (DB), 2002 (Toronto Argonauts 1977–79; Winnipeg Blue Bombers 1980–83; Hamilton Tiger-Cats 1985–87). John Bonk – player (C), 2008 (Hamilton Tiger-Cats 1972–73; Winnipeg Blue Bombers 1973–1985). David Braley – builder, 2012 (Hamilton Tiger-Cats as owner 1987–90; BC Lions as owner 1997–present; Interim CFL commissioner 2002; Toronto Argonauts as owner 2010–present). Dieter Brock – player (QB), 1995 (Winnipeg Blue Bombers 1974–83; Hamilton Tiger-Cats 1983–84). Doug Brown – player (DT), 2016 (Calgary Stampeders 1997; Winnipeg Blue Bombers 2001-11). Tom Brown – player (LB/MG), 1984 (BC Lions 1961–67). Less Browne – player (DB), 2002 (Hamilton Tiger-Cats 1984–88 ;Winnipeg Blue Bombers 1989–91 ; Ottawa Rough Riders 1992; BC Lions 1993–94). Wally Buono – builder, 2014 (Calgary Stampeders as head coach 1990–2002; BC Lions as head coach 2003–11). Ben Cahoon – player (WR), 2014 (Montreal Alouettes 1998–2010). Bob Cameron – player (P), 2010 (Winnipeg Blue Bombers 1980–2002). Hugh Campbell – builder, 2000 (Saskatchewan Roughriders as player 1963–68, 1969; Edmonton Eskimos as head coach 1977–82, General manager 1986–97, president and CEO 1998–2006). Jerry Campbell – player (LB), 1996 (Calgary Stampeders 1966–68, 1976; Ottawa Rough Riders 1968–75). Tom Clements – player (QB), 1994 (Ottawa Rough Riders 1975–78; Saskatchewan Roughriders 1979; Hamilton Tiger-Cats 1979, 1981–83 ;Winnipeg Blue Bombers 1983–87). Mike "Pinball" Clemons – player (RB/KR), 2008 (Toronto Argonauts 1989–2000). Tommy Joe Coffey – player (WR/K), 1977 (Edmonton Eskimos 1959–60, 1962–66; Hamilton Tiger-Cats 1967–72; Toronto Argonauts 1973). Peter Connellan – builder, 2012 (Calgary Dinos as head coach 1977–95). Rod Connop – player (OL), 2005 (Edmonton Eskimos 1982–97). Jim Corrigall – player (DE), 1990 (Toronto Argonauts 1970–81). 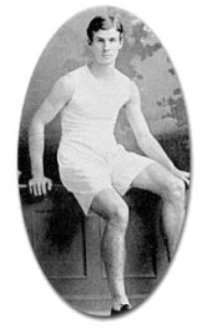 Bruce Coulter – builder, 1997 (McGill University as head coach 1958–61; various directorialships/presidencies with Canadian university sports). 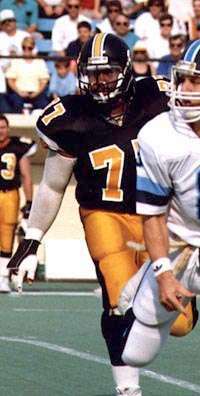 Grover Covington – player (DE), 2000 (Hamilton Tiger-Cats 1981–91). Gord Currie – builder, 2005 (amateur football coach, notably with the Regina Rams 1965–76). Bernie Custis – builder, 1998 (amateur and college football coach 1958–88, notably with McMaster in the 1980s). Dave Cutler – player (K), 1998 (Edmonton Eskimos 1969–84). Peter Dalla Riva – player (TE), 1993 (Montreal Alouettes 1968–81). 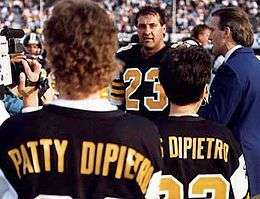 Rocky DiPietro – player (SB/WR), 1997 (Hamilton Tiger-Cats 1978–91). Matt Dunigan – player (QB), 2006 (Edmonton Eskimos 1983–87; BC Lions 1988–89; Toronto Argonauts 1990–91; Winnipeg Blue Bombers 1992–94; Birmingham Barracudas 1995; Hamilton Tiger-Cats 1996; Calgary Stampeders 2004 as coach/GM). Ray Elgaard – player (SB), 2002 (Saskatchewan Roughriders 1983–96). Ron Estay – player (DE), 2003 (BC Lions 1972–73; Edmonton Eskimos 1973–82). Terry Evanshen – player (WR), 1984 (Montreal Alouettes 1965, 1970–73; Calgary Stampeders 1966–69; Hamilton Tiger-Cats 1974–77; Toronto Argonauts 1978). Dave Fennell – player (DT), 1990 (Edmonton Eskimos 1974–83). Dan Ferrone – player (OG), 2013 (Toronto Argonauts 1981–88, 1990–92; Calgary Stampeders 1989). Norm Fieldgate – player (DE/OE/LB/DB), 1979 (BC Lions 1954–67). Willie Fleming – player (RB), 1982 (BC Lions 1959–66). Darren Flutie – player (WR), 2007 (BC Lions 1991–96; Edmonton Eskimos 1996–97; Hamilton Tiger-Cats 1998–2002). Doug Flutie – player (QB), 2008 (BC Lions 1990–91; Calgary Stampeders 1992–95; Toronto Argonauts 1996–1997). Chris Flynn – player (QB), 2011 (Saint Mary's Huskies 1987–1990). Brian Fryer – player (WR), 2013 (University of Alberta 1972–1975, Edmonton Eskimos 1978–85; Ottawa Rough Riders 1985). Tony Gabriel – player (TE), 1984 (Hamilton Tiger-Cats 1971–74; Ottawa Rough Riders 1975–81). Gene Gaines – player (HB), 1994 (Montreal Alouettes 1961, 1970–76; Ottawa Rough Riders 1962–1969). Ed George – player (OL), 2005 (Montreal Alouettes 1970–74; Hamilton Tiger-Cats 1978–80). 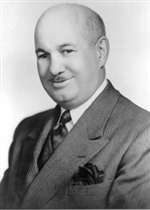 Frank M. Gibson – builder, 1996 (Hamilton Tiger-Cats as organizing the merger in 1950 and serving in various executive roles until 1983). Miles Gorrell – player (OT), 2013 (Calgary Stampeders 1978–82; Ottawa Rough Riders 1982; Montreal Concordes 1982–85; Hamilton Tiger-Cats 1985–91, 1996; Winnipeg Blue Bombers 1992–95). Bud Grant – builder, 1983 (Winnipeg Blue Bombers as player 1953–56, later as head coach 1957–66). As of 2010, the only coach to be a member of both the Canadian Football Hall of Fame and the Pro Football Hall of Fame (NFL). Tracy Ham – player (QB), 2010 (Edmonton Eskimos 1987–92; Toronto Argonauts 1993; Baltimore Stallions 1994–95; Montreal Alouettes 1996–99). Rodney Harding – player (DT), 2016 (Toronto Argonauts 1985–94; Memphis Mad Dogs 1995; Calgary Stampeders 1996). Dickie Harris – player (DB), 1998 (Montreal Alouettes 1972–80; Montreal Concordes 1982). Larry Haylor – builder, 2014 (University of Saskatchewan as coach 1971–73; University of Western Ontario as coach 1984–2006). John Helton – player (DE/DT), 1985 (Calgary Stampeders 1969–78; Winnipeg Blue Bombers 1979–82). Garney Henley – player (DB/WR), 1979 (Hamilton Tiger-Cats 1960–75). Larry Highbaugh – player (DB), 2004 (BC Lions 1971–72; Edmonton Eskimos 1972–83). Tom Hinton – player (G), 1991 (BC Lions 1958–66). Condredge Holloway – player (QB), 1998 (Ottawa Rough Riders 1975–80; Toronto Argonauts 1981–86; BC Lions 1987). Jake Ireland – builder, 2013 (Referee 1979–2008). Russ Jackson – player (QB), 1973 (Ottawa Rough Riders 1958–69; Toronto Argonauts 1975–76 as coach). Gerry James – player (RB), 1981 (Winnipeg Blue Bombers 1952–55, 1957–62; Saskatchewan Roughriders 1964). Alondra Johnson – player (LB), 2009 (BC Lions 1989–90; Calgary Stampeders 1991–2003; Saskatchewan Roughriders 2004). Bobby Jurasin – player (DE), 2006 (Saskatchewan Roughriders 1986–1997; Toronto Argonauts 1998). Joe Kapp – player (QB), 1984 (Calgary Stampeders 1959–61; BC Lions 1961–66). Jerry Keeling – player (DB/QB), 1989 (Calgary Stampeders 1961–72; Ottawa Rough Riders 1973–75; Hamilton Tiger-Cats 1975). Brian Kelly – player (WR), 1991 (Edmonton Eskimos 1979–87). Danny Kepley – player (LB), 1996 (Edmonton Eskimos 1975–84). Norm Kimball – builder, 1991 (Edmonton Eskimos as president and COO 1961–1985; Montreal Alouettes as partial owner 1986–87). Tuffy Knight – builder, 2007 (Wilfrid Laurier University as coach 1966–83; Toronto Argonauts as Director of Player Personnel 1984–88; University of Waterloo as coach 1988–97). Éric Lapointe – player (RB), 2012 (Mount Allison University 1995–98). Ken Lehmann – player (LB), 2011 (Ottawa Rough Riders 1964–71; BC Lions 1972). Neil Lumsden – player (RB), 2014 (University of Ottawa 1972–75; Toronto Argonauts 1976-78; Hamilton Tiger-Cats 1978-79; Edmonton Eskimos 1980-85). Marv Luster – player (OE/DB), 1990 (Montreal Alouettes 1961–64, 1973–74; Toronto Argonauts 1964–72). Gene Makowsky – player (OT), 2015 (Saskatchewan Roughriders 1995–2011). Don Matthews – builder, 2011 (Edmonton Eskimos as assistant coach 1977–82; BC Lions as head coach 1983–87; Toronto Argonauts as head coach 1990, 1996–98, 2008; Saskatchewan Roughriders as head coach, 1991–93; Baltimore Stallions as head coach 1994–95; Edmonton Eskimos as head coach 1999–2000; Montreal Alouettes as head coach 2002–06). Harry McBrien – builder, 1978 (for officiating and rules committee; CRU executive 1951–1966; Grey Cup coordinator 1958–68). Don McDonald – builder, 2016 (administrator of minor football in Saskatchewan and the Saskatoon Hilltops). George McGowan – player (WR), 2003 (Edmonton Eskimos 1971–78). Danny McManus – player (QB), 2011 (Winnipeg Blue Bombers 1990–92; BC Lions 1993–95; Edmonton Eskimos 1996–97; Hamilton Tiger-Cats 1998–2005; Calgary Stampeders 2006). Donald McNaughton – builder, 1994 (coordinated the Schenley Awards, 1963–88). Ed McQuarters – player (DT), 1988 (Saskatchewan Roughriders 1966–74). Jim Mills – player (OT), 2009 (BC Lions 1986–93/95; Ottawa Rough Riders 1994). Derrell Mitchell – player (WR), 2016 (Toronto Argonauts 1997–03; Edmonton Eskimos 2004–06; Toronto Argonauts 2007). Joe Montford – player (DE), 2011 (Shreveport Pirates 1995; Hamilton Tiger-Cats 1996–2001, 2003–04; Toronto Argonauts 2002; Edmonton Eskimos 2005–2006). Warren Moon – player (QB), 2001 (Edmonton Eskimos 1978–83). As of 2010, the only player to be a member of both the Canadian Football Hall of Fame and the Pro Football Hall of Fame (NFL). Angelo Mosca – player (DT/OT/MG), 1987 (Hamilton Tiger-Cats 1958–59, 1962–72; Ottawa Rough Riders 1960–61; Montreal Alouettes 1962). James Murphy – player (WR), 2000 (Winnipeg Blue Bombers 1983–90). Don Narcisse – player (WR), 2010 (Saskatchewan Roughriders 1987–99). Peter Neumann – player (DE), 1979 (Hamilton Tiger-Cats 1951–64). Uzooma Okeke – player (OT), 2014 (Shreveport Pirates 1994-1995; Ottawa Rough Riders 1996; Montreal Alouettes 1997–2010). Tony Pajaczkowski – player (DE/G), 1988 (Calgary Stampeders 1955–65; Montreal Alouettes 1966–67). James Parker – player (LB/DE), 2001 (Edmonton Eskimos 1980–83; BC Lions 1984–89; Toronto Argonauts 1990–91). Lui Passaglia – player (K/P), 2004 (BC Lions 1976–2000). Elfrid Payton – player (DE), 2010 (Winnipeg Blue Bombers 1991–93, 2000, 2004; Shreveport Pirates 1994; Baltimore Stallions 1994–95; Montreal Alouettes 1996–99; Toronto Argonauts 2001; Edmonton Eskimos 2002–03). Rudy Phillips – player (OG), 2009 (Ottawa Rough Riders 1981–84; Edmonton Eskimos 1986–87; Calgary Stampeders 1988). Joe Pistilli – builder, 2010 (Quebec Junior Football League as manager and other tasks 1967–present). Allen Pitts – player (WR), 2006 (Calgary Stampeders 1990–2000). Willie Pless – player (LB), 2005 (Toronto Argonauts1986–89; BC Lions 1990; Edmonton Eskimos 1991–98; Saskatchewan Roughriders 1999). Ken Ploen – player (QB/DB), 1975 (Winnipeg Blue Bombers 1957–67). Joe Poplawski – player (SB), 1998 (Winnipeg Blue Bombers 1978–86). Mike Pringle – player (RB), 2008 (Edmonton Eskimos 1992, 2003–04; Sacramento Gold Miners 1993; Baltimore Stallions 1994–95; Montreal Alouettes 1996–2002). Moe Racine – player (OT/K), 2014 (Ottawa Rough Riders 1958–74). Dave Raimey – player (RB/KR), 2000 (Winnipeg Blue Bombers 1965–68; Toronto Argonauts 1969–74). George Reed – player (RB), 1979 (Saskatchewan Roughriders 1963–75). Dave Ridgway – player (K), 2003 (Saskatchewan Roughriders 1982–95). Charles Roberts – player (RB), 2014 (Winnipeg Blue Bombers 2001-08; BC Lions 2008). Larry Robinson – player (DB/K/R), 1998 (Calgary Stampeders 1961–75). Rocco Romano – player (OG), 2007 (Calgary Stampeders 1987, 1992–2000; Toronto Argonauts 1988; Ottawa Rough Riders 1989; BC Lions 1990–91). Tom Scott – player (SB), 1998 (Winnipeg Blue Bombers 1974–77; Edmonton Eskimos 1978–83; Calgary Stampeders 1984). Victor Spencer – builder, 2006 (Hamilton Tigers as player BC Lions as club organizer, director, and executive in the 1950s, serving other roles since then). Milt Stegall – player (SB), 2012 (Winnipeg Blue Bombers 1995–2008). Ron Stewart – player (RB), 1977 (Queen's University 1953–57; Ottawa Rough Riders 1958–70). Don Sutherin – player (DB/K), 1992 (Hamilton Tiger-Cats 1958, 1960–66; Ottawa Rough Riders 1967–69; Toronto Argonauts 1970). Bill Symons – player (HB), 1997 (BC Lions 1966; Toronto Argonauts 1967–73). Dave Thelen – player (RB), 1989 (Ottawa Rough Riders 1958–64; Toronto Argonauts 1965–66). Whit Tucker – player (HB/F), 1993 (University of Western Ontario 1960–61; Ottawa Rough Riders 1962–70). Ted Urness – player (G/T/C), 1989 (Saskatchewan Roughriders 1961–70). Kaye Vaughan – player (OG/OT/DT), 1978 (Ottawa Rough Riders 1953–64). Terry Vaughn – player (SB/WR), 2011 (Calgary Stampeders 1995–98; Edmonton Eskimos 1999–2004; Montreal Alouettes 2005; Hamilton Tiger-Cats 2006). Pierre Vercheval – player (OG), 2007 (Edmonton Eskimos 1988–92; Toronto Argonauts 1993–97; Montreal Alouettes 1998–2001). Chris Walby – player (OT), 2003 (Montreal Alouettes 1981; Winnipeg Blue Bombers 1981–96). Glen Weir – player (DT), 2009 (Montreal Alouettes 1972–1981; Montreal Concordes 1982–84). James West – player (LB), 2016 (Calgary Stampeders 1982–84; Winnipeg Blue Bombers 1985–92; BC Lions 1993). Tom Wilkinson – player (QB), 1987 (Toronto Argonauts 1967–70; BC Lions 1971; Edmonton Eskimos 1972–81). 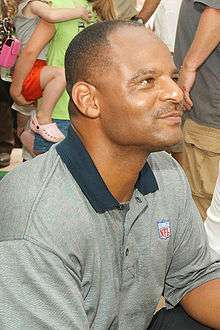 Gizmo Williams – player (KR/WR), 2006 (Edmonton Eskimos 1986–2000). Al Wilson – player (OL), 1997 (BC Lions 1972–86). Earl Winfield – player (WR/KR), 2013 (Hamilton Tiger-Cats 1987–97). Harvey Wylie – player (DB/KR), 1980 (Calgary Stampeders 1956–64). Dan Yochum – player (OT), 2004 (Montreal Alouettes 1972–1980; Edmonton Eskimos 1980). Jim Young – player (WR), 1991 (Queen's University 1961–63; BC Lions 1967–79). Ben Zambiasi – player (LB), 2004 (Hamilton Tiger-Cats 1978–87; Toronto Argonauts 1988). There is also a wing of the Hall of Fame dedicated to reporters. The Canadian Football Hall of Fame in Hamilton, Ontario. ↑ Urciuoli, Anthony (July 10, 2015). "Canadian Football Hall of Fame will relocate in 2016". AM900 CHML | Hamilton News. Retrieved 2016-07-08. ↑ "CFHOF REVEALS HALL OF FAME CLASS OF 2016". cfl.ca. November 27, 2015. Retrieved July 12, 2016. ↑ Canadian Football Hall of Fame website. Retrieved 7 Jan 2007. ↑ "Canadian Football Hall of Fame closes for the last time Saturday". The Hamilton Spectator. 2015-09-18. Retrieved 2016-07-08. ↑ Ken Preston, 73, managed Saskatchewan Roughriders: [City Edition] Kitchener - Waterloo Record [Kitchener, Ont] 06 Aug 1991: A10.